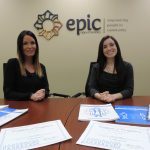 Some home-grown cutting-edge technology is help making life a little more manageable for members of Epic Opportunities’ management team. Since May, managers have been using the app Shiftshark on their mobile devices to help fill open shifts at the non-profit agency’s nearly three dozen residential homes. 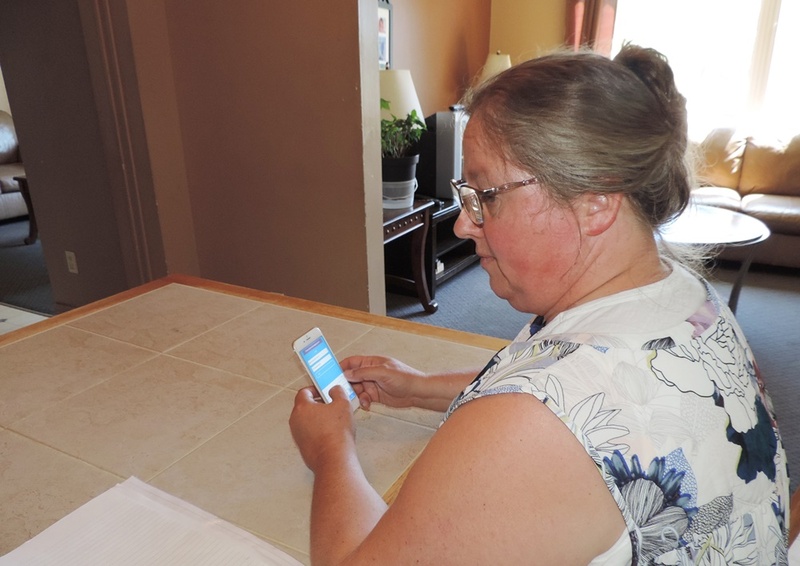 The app was developed by Inclusion, a Winnipeg-based company that provides online services to organizations in the community living sector to schedule, track and pay staff. Shiftshark is designed to allow managers to fill a shift without being tied to a desk or having to sort through reams of paper. They simply log into the app and select the shift that needs filling. Shiftshark instantly generates a list of eligible employees for the shift based on availability and agency-specific protocols. Once the manager has determined who to contact about the shift, an automated text or phone message is then sent to those employees asking them if they can fill the shift. Once the manager chooses someone to work the shift, Shiftshark updates the schedule and notifies everyone involved that the shift has been filled. Inclusion co-founder Terry Harrison says the beauty of the system is that it’s entirely paperless and requires managers to spend far less time finding eligible employees to work an open shift. It can also save agencies money by alerting them in advance when a shift may require an employee to work overtime and ensure that overtime is allocated accurately. The Shiftshark system has been available since February 2017 and Harrison says feedback from the agencies who are using it has been overwhelmingly positive. To date, more than 1.7 million messages have been sent using Shiftshark and the number of agencies using it continues to grow each month. “Most of the people I’ve spoken to about it have said it’s fantastic,” he says. Sarah Hauptkorn, a residential manager for Epic Opportunities, has been using the Shiftshark app for several months and says it has helped simplify the process of filling open shifts. “Before I would have to go…look through a list of trained staff and then go through the whole schedule for that home. It was a very lengthy and tedious process. It could take four hours to find someone to fill a single shift,” Hauptkorn says. The Shiftshark app went through several years of development before Inclusion began testing it with a handful of customers in B.C., Manitoba and Ontario. One of the priorities for the company’s design team was to create a user-friendly system that could intuitively meet the specific needs of agencies. The inspiration for Shiftshark was a conversation Harrison had with an Ontario-based community living agency about five years ago. The agency had more than 230 employees at the time and often struggled to fill open shifts using a complicated, paper-based system that only two employees knew how to use properly.